On 31 January 2018, GLORY - the world leading kickboxing promotion - announced a global equipment partnership with Fairtex. Via the following link you can read the official announcement of GLORY Kickboxing. 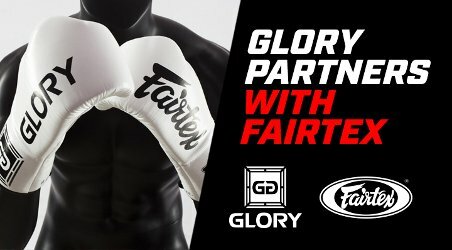 As official glove provider, Fairtex will equip GLORY fighters on the fight night of all Live events during the following years of cooperation. The first event during which the new fight gloves will be used is 'Glory 50', held at the UIC Pavilion in Chicago, USA on 16 February 2018. 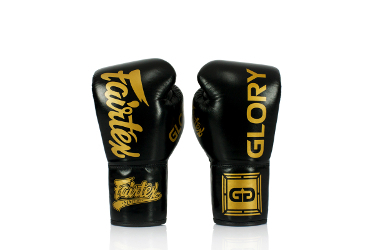 Fairtex has produced an exclusive official Glory fight glove, by engineering a modified version of the classic Fairtex BGL6 lace-up design boxing glove. In the creation of the professional fight gloves for GLORY, several improvements have been implemented, such as reshaped padding and more seamless stitching at the thumb and wrist. Several impressions of the new gloves have been released along with the announcement. 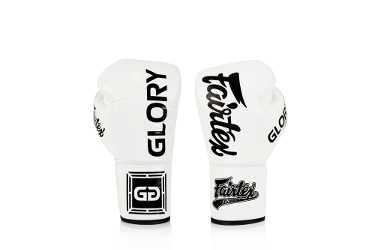 While it is anticipated that GLORY and Fairtex will develop co-branded equipment, the details of consumer items to become available are yet to be announced. At Fairtex.eu, we are both proud and excited to see two elite combat sports brands joining forces with this multi-year partnership. We will keep you updated regarding developments of merchandise to become available.